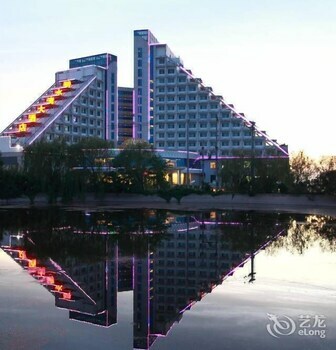 With a stay at Bishuiwan Hotel in Hengshui, you'll be 13 mi (20.9 km) from People's Park and 14.7 mi (23.7 km) from Baoyun Temple. Featured amenities include dry cleaning/laundry services, luggage storage, and a safe deposit box at the front desk. Free self parking is available onsite. With a stay at Guanzhong Academy- Zhuangjia Apartment in Xi'an (Beilin), you'll be within a 15-minute walk of Xi'an Bell Tower and Beilin Museum. Free self parking is available onsite. With a stay at Hengsheng Hotel-tengchong in Baoshan (Tengchong), you'll be within a 15-minute drive of Dieshuihe Waterfall and Ai Siqi Home. Free self parking is available onsite.